The Angels Book of Promises is an easy to follow handbook for all those aspiring to establish a relationship with angels. It contains chapters on Angel Meditations, Scrying techniques, Rituals and Hand movements, and approaches the subject in a completely different way. 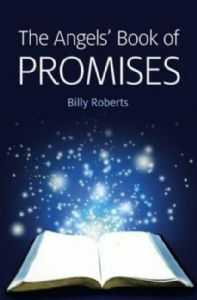 Working on the premise that one good turn deserves another, the Angels Book of Promises is an extremely effective bargaining tool. On one page the aspirant writes exactly what he or she wants from their guiding angels, and on the opposite page what they are willing to do in return. Once the book has been ritualistically programmed, it should then be wrapped in black silk or velvet and not seen or touched by anyone else but the user. The instructions are clear and easy to follow. The book also contains anecdotal accounts of angels by other people and includes detailed information of how angels infiltrate our lives without us even knowing. It also looks at the Angel of the Thames, witnessed by thousands of people since the seventeenth century and continues to appear to tourists today.